Three years in the making, the Savory Institute's regenerative agriculture seal is about be realized in the marketplace. The protocol, named Ecological Outcome Verification (EOV) is part of the organization’s Land to Market program. Allan Savory began identifying the necessary and positive effects of animal impact on the world’s grasslands—and the significant role healthy grasslands play in the reversal of global warming—over fifty years ago. He refined it into what he calls Holistic Management, and now the Savory Institute, based in Boulder, Colorado, educates and guides thousands of livestock producers on all six arable continents in implementing holistic practices to restore the land on which they depend. 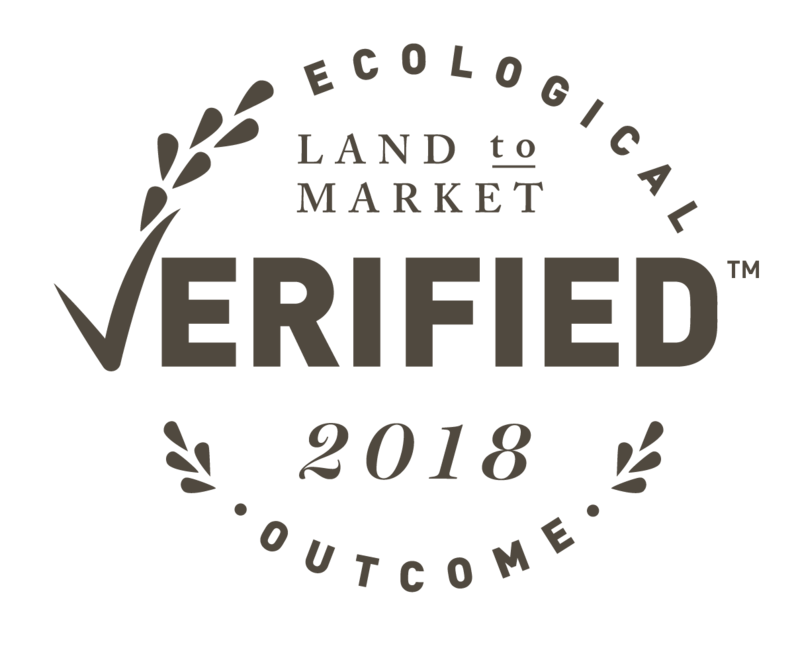 In recent years, the organization has sought a market-facing element, and has worked closely with producers, scientists and brands (in both food and fashion) to create a seal verifying that consistent land regeneration is occurring in the production of specified products. “Behind the scenes, we’ve been working on: how do we verify land health in a globally scalable, measurable, empirical, affordable way all over the world?” says Chris Kerston, Savory’s director of market engagement and public outreach. For the scientific piece, Savory has compiled numerous agronomic protocols and, under Pablo Borrelli of Ovis 21 and Jason Rowntree, PhD, of Michigan State University's College of Agriculture and Natural Resources, synthesized them into an on-farm set of ongoing short- and long-term assessments by which producers will be brought into and maintained in the Land to Market program. EOV’s critical distinguishing factors come with the O and the V. Unlike other farm-based consumer labels, EOV is not a certification of practices, but rather a verification of outcomes in the soil and farm ecosystems. The process of developing the requirements and standards and optimizing producer and brand benefit, while maintaining precise and replicable scientific protocols, has required a patience mirroring the land restoration itself. Four brands, EPIC Provisions, UNION, Applegate and Zuke’s Natural Pet Treats and Supplements have been invited into the program for the initial go-to-market and have served as investors and advisors in its development. EPIC will be the first brand to present the seal on pack. For Zuke’s director of co-manufacturing and sustainability David Rizzo, that family extends to pets. “The pet industry is littered with greenwashing and everybody is defining the standards they get behind: humane and responsible and some of those areas that are grey at this time. Legacy brand Applegate is watching the program closely. Gina Asoudegan, the company’s vice president of mission and innovation, reiterates that the company’s mission is “changing the meat we eat.” For a long time this focused on antibiotics. But, Asoudegan says, Applegate has realized they need to take a more holistic approach. That means looking at livestock production from a systems point of view. “That’s what brought us to Savory and Land to Market. The program’s success will depend to a great degree on the brands’ and program’s abilities to reach consumers with at least some of the relevant depth, breadth and differentiation of the EOV message. But for the producers and brands leading this charge, it appears to be about vision and passion first.